Webcam "Weather Webcam Altdorf "
In Altdorf, there is the Webcam Weather Altdorf with motif: Gitschenblick. 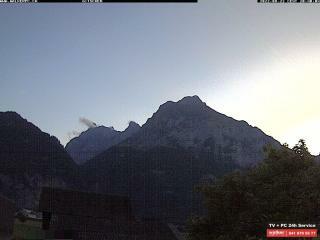 The webcam Altdorf is regularly updated with new pictures. Track the current weather in Altdorf Skilift with the webcam ALTDORF. Altdorf is a municipality and the capital of the Swiss canton of Uri. Altdorf is located 458 meters above sea level in the Reuss, a little above the mouth of the Reuss in the Lake of Uri. Individual finds on the Altdorf go back to the Bronze Age and accumulate from the late La Tène period. Find out about the weather in Altdorf with our weather webcams!